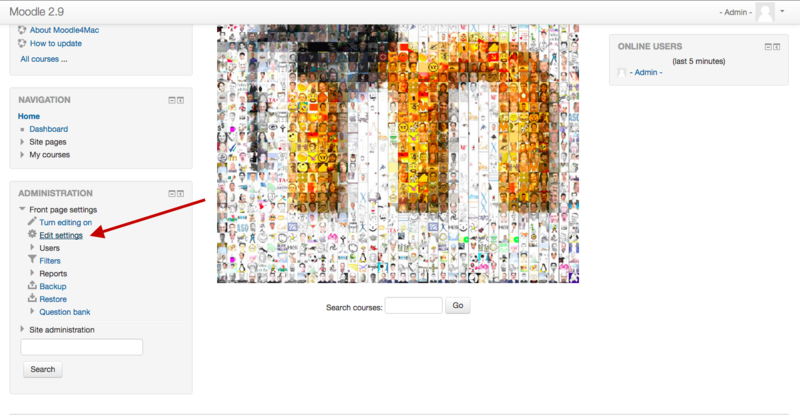 HappyFox Chat supports Moodle, an open-source PHP application for internet-based educational courses. 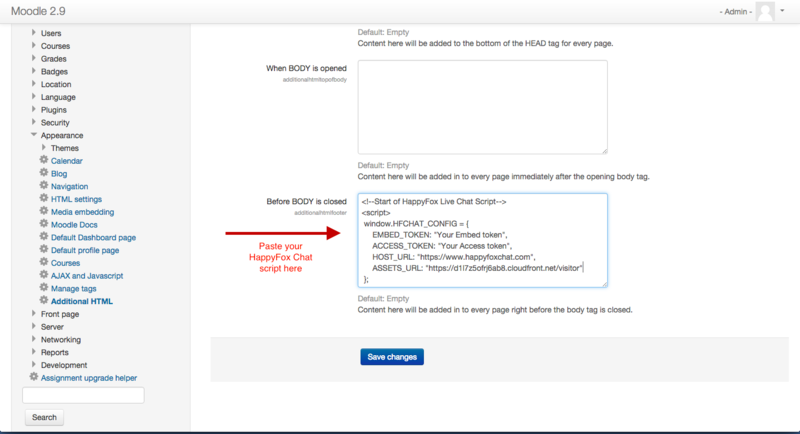 Follow this guide to get HappyFox Chat running on your Moodle site! 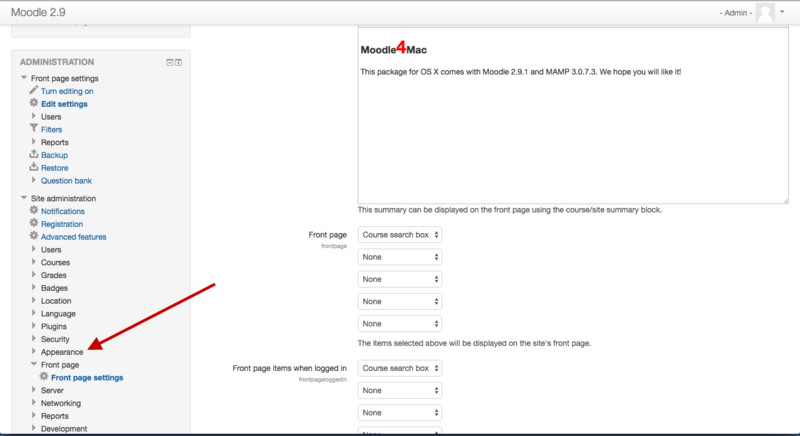 Step 1: Login with your administrator credentials in Moodle. In the Administration settings on the left side of the page, click on Edit Settings. Step 2: Expand the Appearance section. 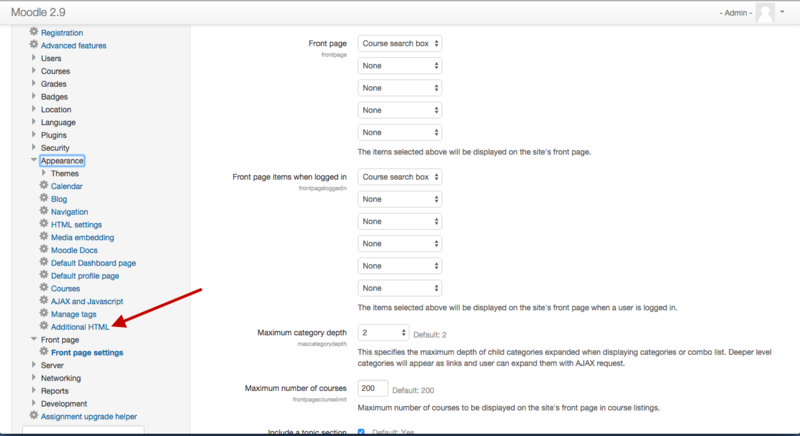 Step 3: In the Appearance section, click on Additional HTML. Step 4: Finally, paste in your HappyFox Chat installation code into the "Before BODY is closed" section, then click on Save Changes. 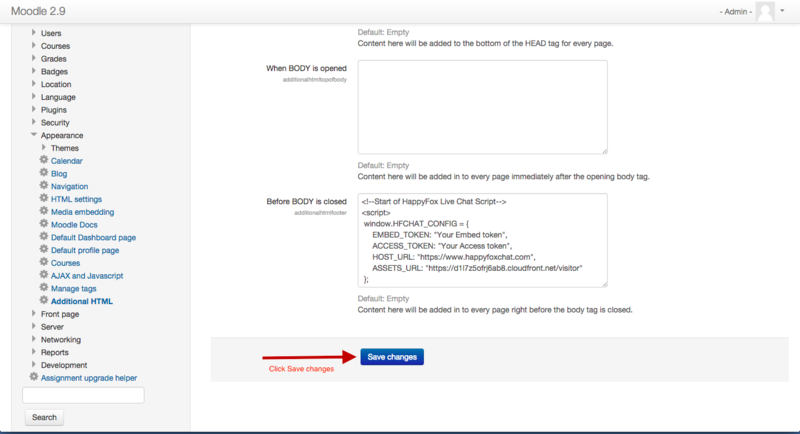 Step 5: Check back on your website and you will see HappyFox Chat widget on your page.